From creating your first project, to managing delivery of a large program, SpiraPlan has your back. Best practices are baked-in, so you can focus on meeting your goals, not worrying about what is falling through the cracks. Powerful, straightforward, and flexible--SpiraPlan adapts to you: your methodology, your workflow, your toolchain, your reporting needs. You need a tool to help you get stuff done and stay in sync with the team. Let SpiraPlan manage your tasks and bugs quickly and easily, so you can get back to developing. 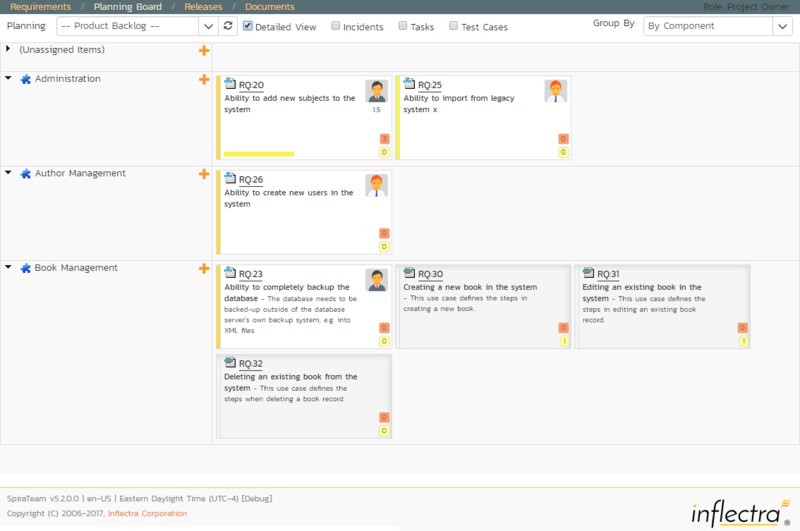 Add new issues or tasks and link them directly to the right user story and release. Hook up your source code and version control system to effortlessly match your commits to bugs. Create and run all of your tests from a single QA powerhouse. Easily generate tests from requirements, and bugs from tests. Create dynamic tests on the fly, based on parameters, for both automated and manual tests. Full traceability lets you, at a glance, check the health of a user story or release. SpiraPlan does an outstanding job on collecting the information needed to manage projects both large and small. The application has a good road map for future enhancements and helps me manage my projects without the normal amount of effort.